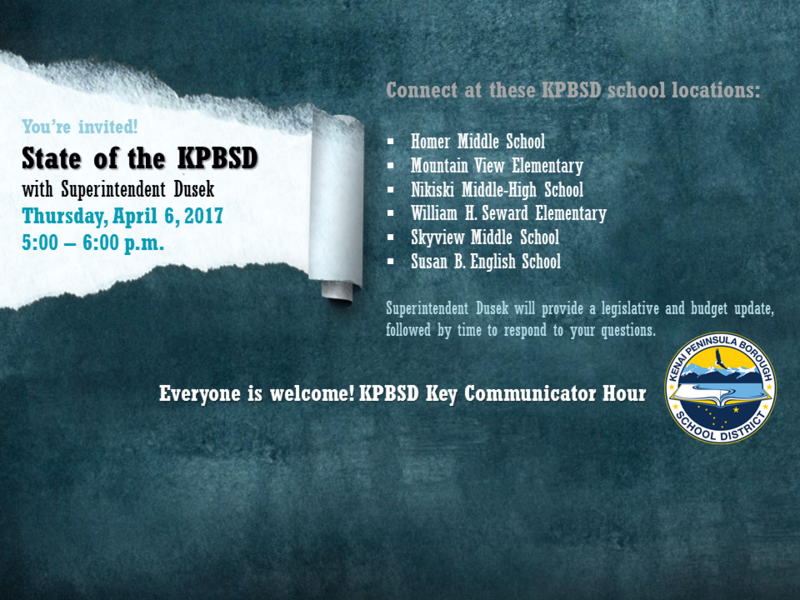 If you have questions, please contact Pegge Erkeneff, communications liaison: Communications@KPBSD.org, and search this blog for keywords such as budget, legislature, etc. for additional posts. This entry was posted on April 10, 2017 at 4:06 pm. You can follow any responses to this entry through the RSS 2.0 feed. You can skip to the end and leave a response. Pinging is currently not allowed.